The most scenic. The most dramatic. The most romantic. The most mysterious. Whatever your definition of Glencoe, there’s a reason why it is one of Scotland’s best-loved and best-known glens. 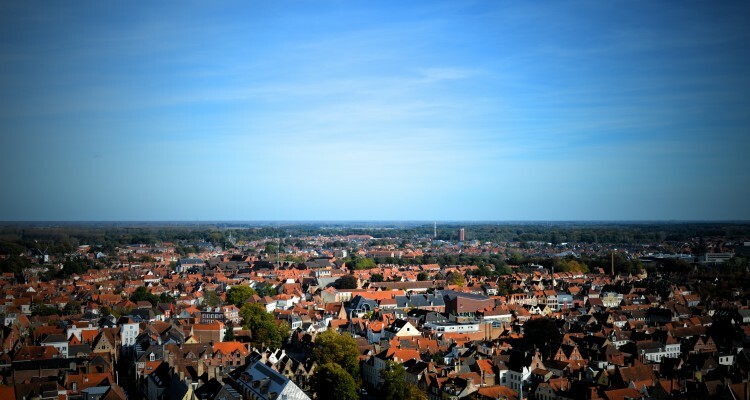 The village itself is a gorgeous wee place to base yourself, but really, it’s all about the surrounding area. Glencoe is an outdoor fanatic’s dream, with some of Scotland’s most impressive mountain scenery, fast-flowing rivers, deep blue lochs and lush, untouched forests just ripe for exploring. 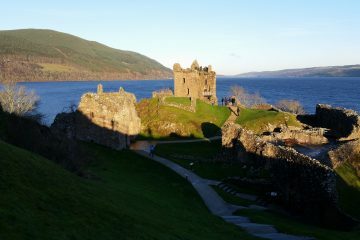 Whether shrouded in eerie mists or dappled with late summer sun, this is Scotland at its most dramatic. 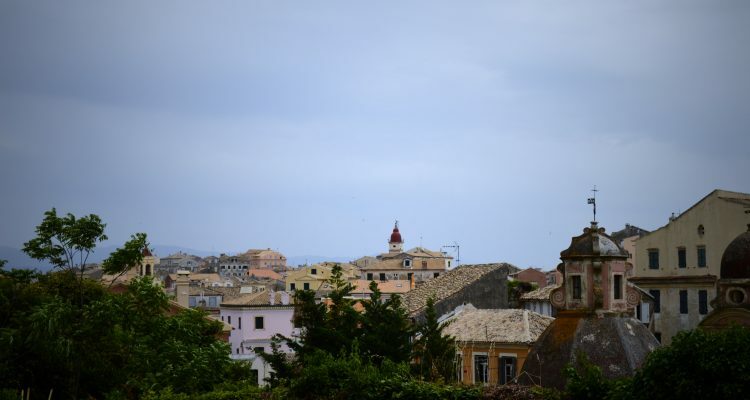 The area has grown in popularity over recent years, particularly as a film location (fans of James Bond might remember it as the atmospheric backdrop of Skyfall), but its story has its fair share of scars too. 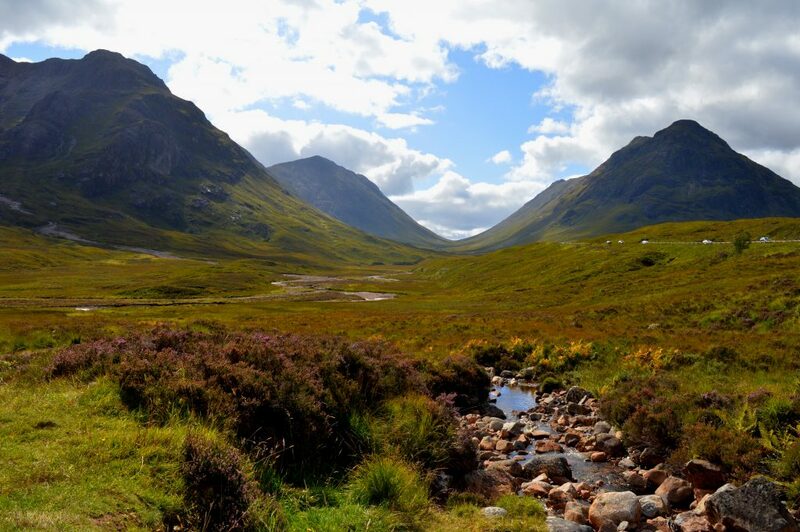 The massacre of Glencoe, which took place in 1692, is one of Scotland’s most harrowing and troubled tales. A quick visit to the village’s Folk Museum will quickly remind you that the landscape is as much ominous as it is picturesque. For many people, visiting Glencoe is simply about taking to the hills. It’s easy to see why. The area is blessed with some of Scotland’s (and arguably Europe’s) best peaks. 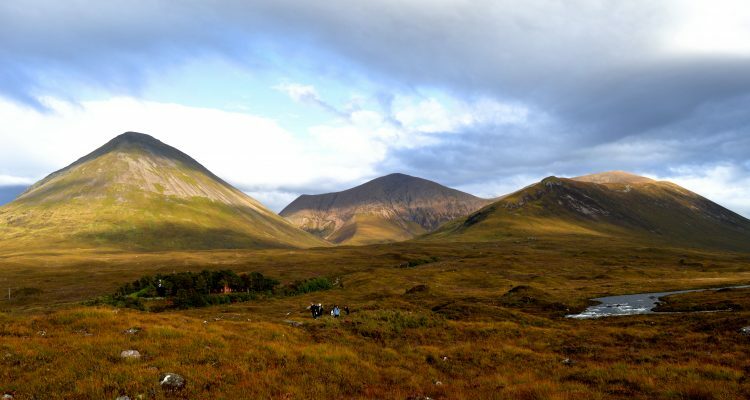 Serious mountaineers will want to take on Buachaille Etive Mor, the Aonach Eagach Ridge and, for the ultimate challenge, Ben Nevis (Britain’s highest peak). Those up for a challenge but with perhaps less climbing experience might want to take on the Pap of Glencoe, which will take around half a day, and which offers some seriously impressive views of Loch Leven and the Ardgour Hills. There’s also The Wee Herdsman, where you might even be lucky enough to spot a golden eagle or two. 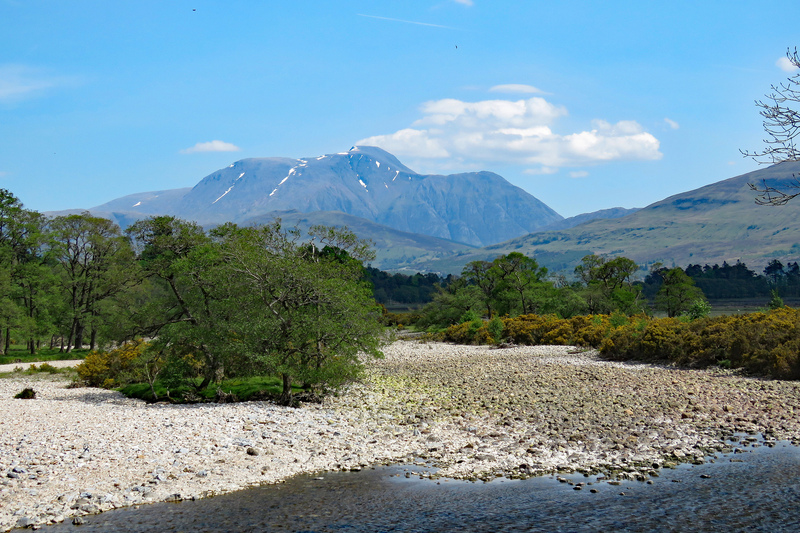 Looking up at Ben Nevis. Perfectly doable….right? Fans of the James Bond series might remember that (like many of the best folk…) Britain’s most famous spy has Scottish heritage. 2012’s Skyfall, directed by Sam Mendes, sees Bond return to his father’s stomping ground, and the film has often stood out as one of the more atmospheric and beautifully shot of the Bond films. If you fancy retracing Bond’s steps (or just want a blooming scenic drive), take the A82 (between the visitor centre and the village) and watch in awe as you drive towards Loch Etive and you find yourself eclipsed by towering hills and a beauty which will leave you struggling for words. A word of warning though; this is a single-track road and large vehicles will struggle. Dinnae chance it. 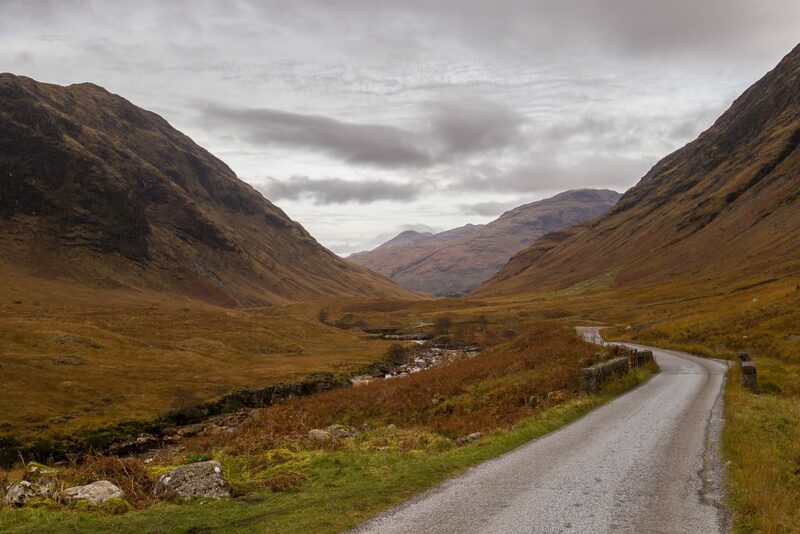 The road to Glen Etive; a drive which is particularly gorgeous during the Autumn months when the colours begin to change. 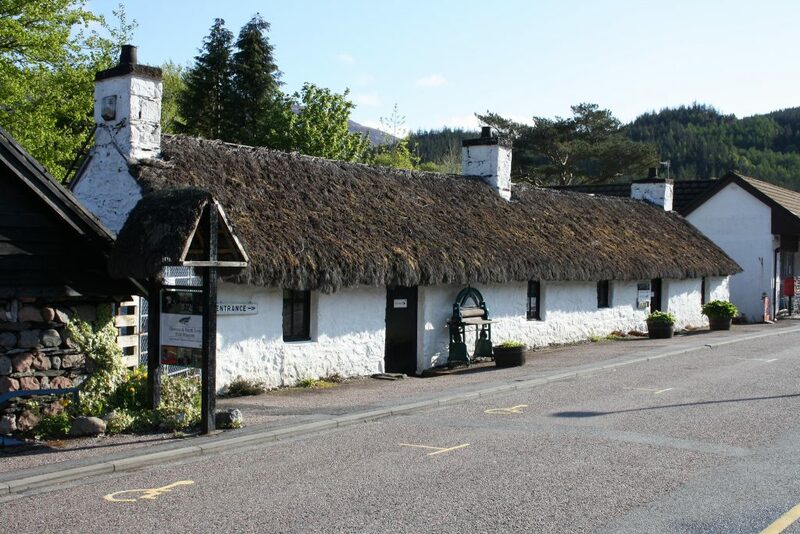 Step back in time with a visit to the characterful Folk Museum, right in the heart of Glencoe village. 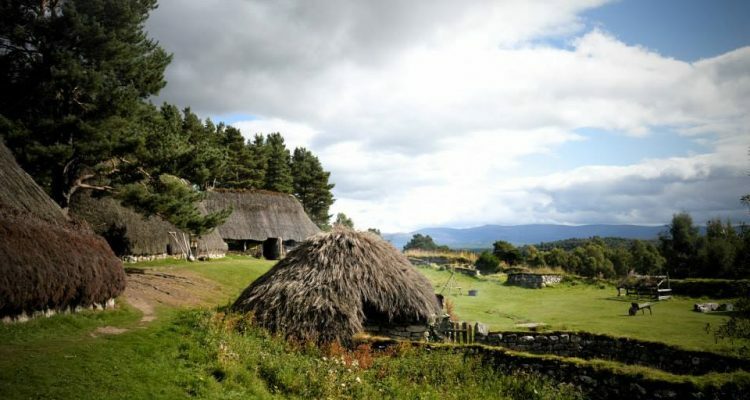 Housed in a traditional 18th Century thatched cottage, this wee museum is packed to the rafters (quite literally) with historical trinkets, from centuries’ old farm equipment and cooking utensils to Jacobite weapons and clothing and even the occasional dose of taxidermy. Taking you through wars and upheavals to medical procedures and mountain rescues, it gives a real insight into the history of Glencoe and its clans. 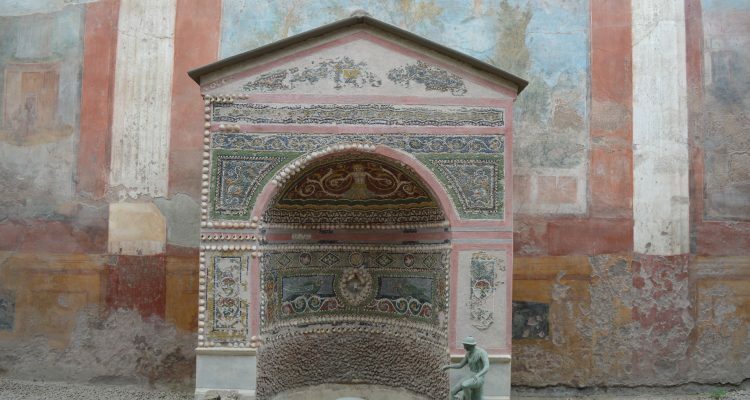 It won’t take you long to get round, but at only £3.00, it’s well worth a visit! Glencoe is home to some of Scotland’s most majestic scenery, but it’s also the site of one of the country’s worst atrocities. The Massacre of Glencoe, as it has become known, occurred on the 13th of February 1692, when an estimated 38 members of the Macdonald Clan were murdered at the request of the government for not pledging allegiance – or at least, not being fast in pleading allegiance – to the monarch William III of England (II of Scotland). Under command from the Master of Stair, Captain Robert Campbell of Glenlyon led the attack. His orders were explicit: the MacDonalds were to be “cut off root and branch”. What makes the massacre so controversial and so enduring, however, is the fact that Campbell and his men took shelter with the MacDonalds for 12 days before the attack took place, accepting their hospitality knowing full well what was to come. It has since been widely regarded as one of the most significant acts of betrayal in Scottish history. 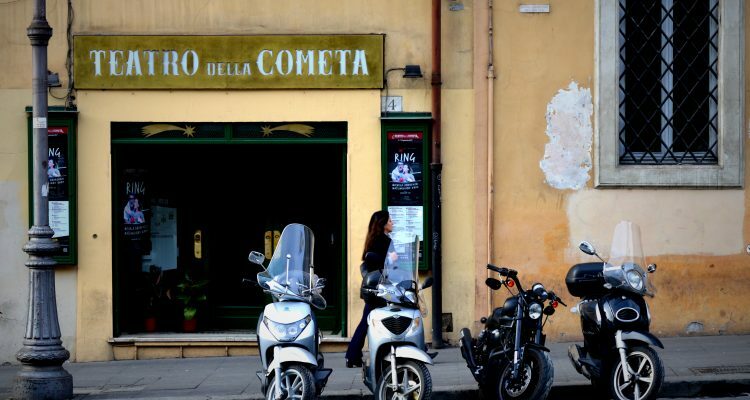 Rumour has it that to this day, Campbells are not welcome in the local bar. 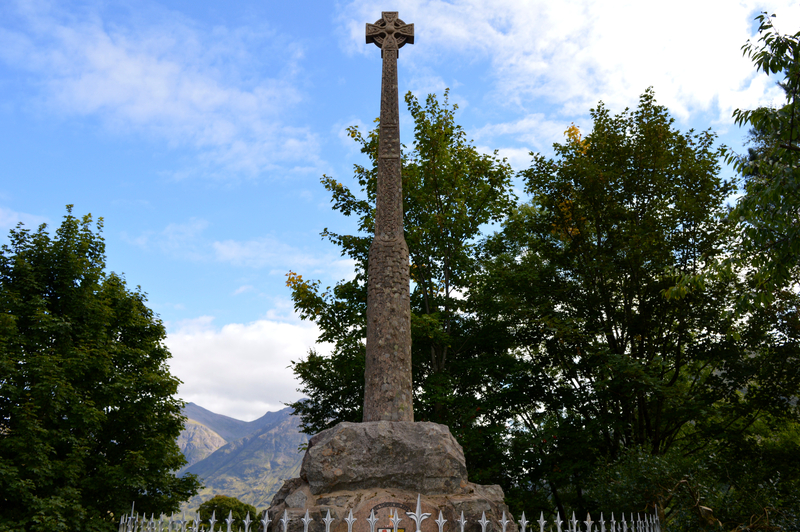 The Glencoe Massacre Monument sits in a quiet spot overlooking the river, just a short walk from the Croft Museum. It’s a poignant place, but well worth visiting for a moment’s contemplation at what must surely be one of Scotland’s darkest hours. 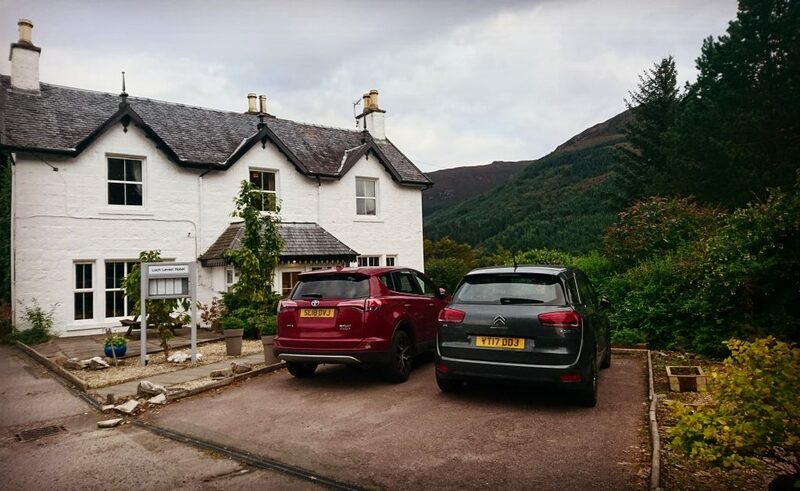 On the Northern tip of Ballachulish, a short drive from the village of Glencoe, sits the Loch Leven Hotel. With an airy dining room, and panoramic windows looking out over Loch Leven, it’s hard to imagine a more gorgeous spot for dinner. The historic ferry inn is full of character and as well as offering rooms (and soon to be offering glamping pods! 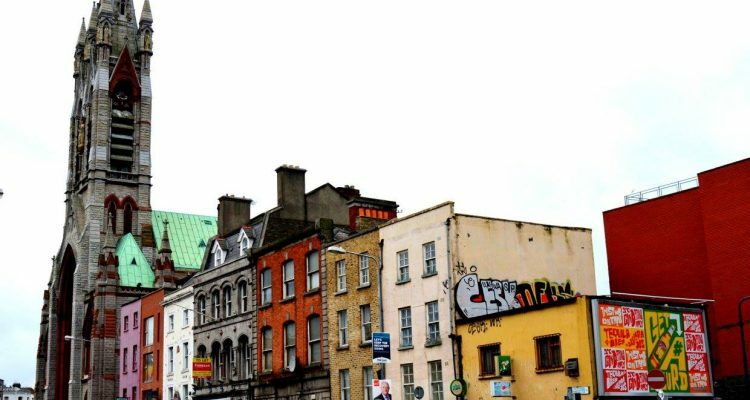 ), it has a cosy bar stocking over 60 whiskies and dates back to the 1700’s. Snuggle up beside the open fire, enjoy a tipple on the loch-side sundeck, or even sample a glass of Devil’s Staircase, their homemade Highland spiced gin; whatever your fancy, this is the perfect place to unwind after a busy day exploring the glen. The Loch Leven Hotel. 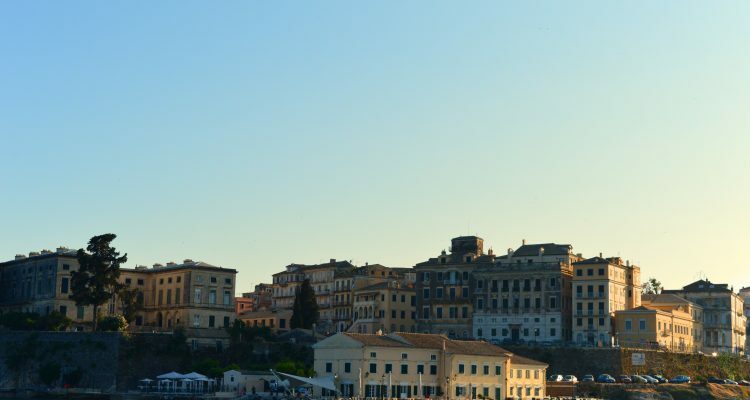 Home to a gorgeous restaurant, cosy bar and unbeatable views. 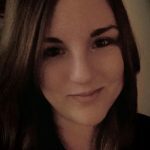 Not content with sitting still? Check out Vertical Descents, an outdoor activity company with a knack for getting the old adrenaline flowing. From their centre in Glencoe you can take part in canyoning, gorge walking, coasteering, whitewater rafting and all things that your Granny warned you not to do. You can even take part in a mini Highlands Games! 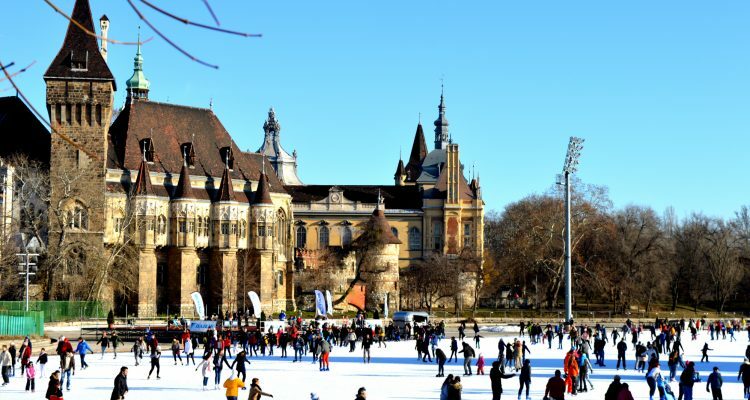 Visit their website here for more information on the activities on offer. At just over 2.5km long, the walk to Signal Rock is perhaps one of Glencoe’s most manageable routes. 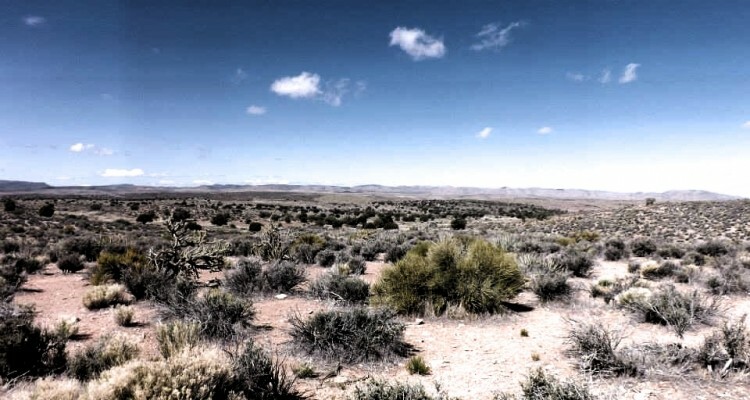 Thankfully, it’s also rather scenic, with views out towards An Torr. According to legend, Signal Rock is also the site where the signal was given to begin the Glencoe Massacre. 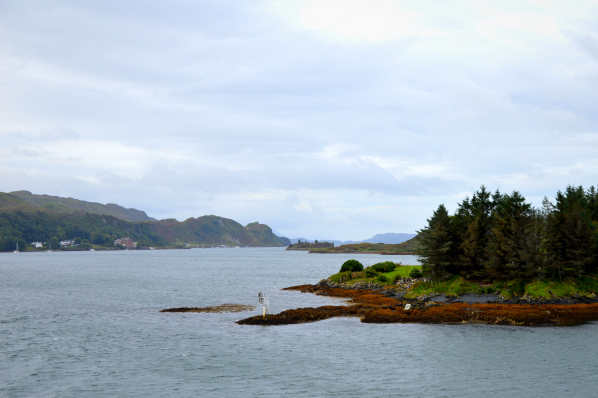 It takes just over an hour to drive to the village of Arisaig on Scotland’s west coast from the village of Glencoe. It’s a drive that won’t disappoint, as you drive past the Glenfinnan Viaduct (more on that below) and through some of the country’s most dramatic mountain scenery. Arisaig is a wee coastal village, with a craggy beach and gorgeous outlook. It also marks the beginning point of the Road to the Isles, and is home to a fab sea kayaking centre, if you fancy exploring the coast from a different perspective. 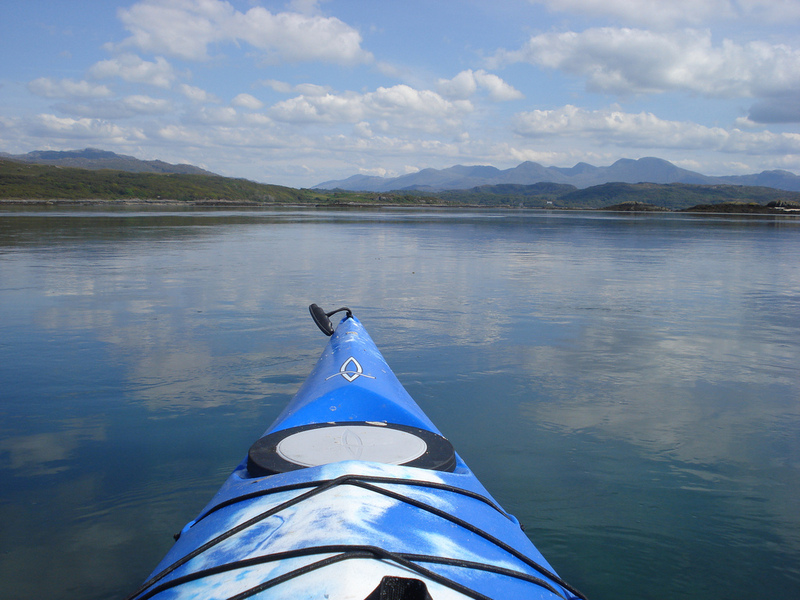 Arisaig Sea Kayak Centre offer full and half day kayaking trips for beginners, families and professional paddlers, and will take you across sea lochs to nearby islands, where you can take in some of the most stunning coastal scenery Scotland has to offer, as well as getting up close and personal with local wildlife such as seals, oyster catchers and terns. There’s nothing more relaxing than gliding along at your own pace and taking in the sounds and the rhythm of the water! 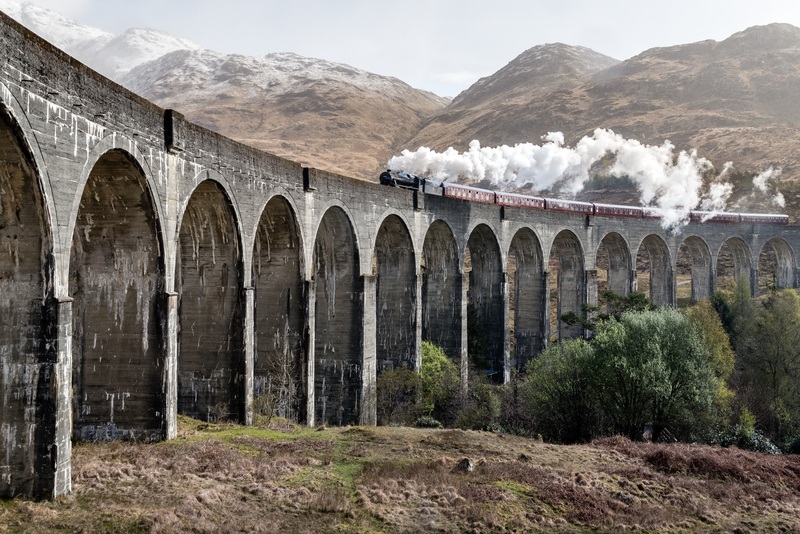 Fans of Harry Potter might recognise the Glenfinnan viaduct as the characterful curving railway famously crossed by the Hogwart’s Express. In fact, you only have to google ‘Harry Potter train’ to find yourself inundated with images of one of Scotland’s best known train lines! It’s no wonder the producers chose Glenfinnan as a location; overlooking the famous monument and Loch Shiel, the views are pretty spectacular. It takes around an hour to drive from Glencoe to Glenfinnan. If you’re looking for ‘the money shot’, you’ll probably want to get there when the historic Jacobite steam train passes by. The train will pass through Glenfinnan around 15 minutes after it departs Fort William for Mallaig so be sure to check their website for accurate departure times. For example, if the train leaves Fort William at 10.15, you’ll see it go over the viaduct at 10.30. Or, better still, why not see the viaduct from the train itself? 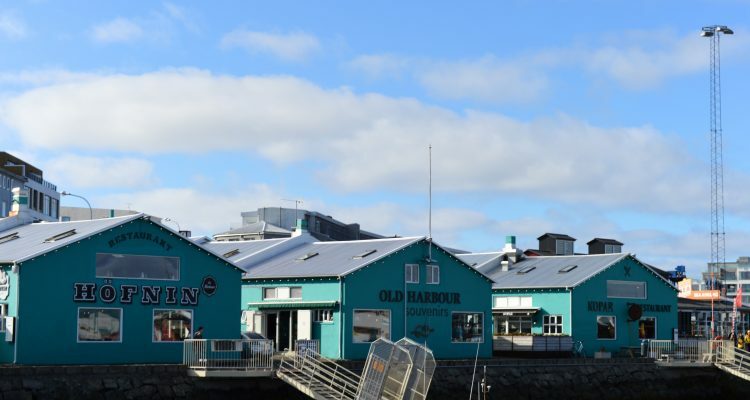 The journey to Mallaig is widely regarded as one of the most scenic routes in Scotland, cutting through some of the West Coast’s most dramatic mountain scenery. Well worth it, if you have the time! You can book a ride on the Jacobite Express by visiting their website here. If there’s a better way to travel, I don’t want to know about it. Another handy tip: Parking at the monument car park will set you back £3.00 and won’t actually give you direct access to the viaduct. Instead, drive up the hill a little further and park for free by the church. Follow the wee footpath through the trees and head up the closest hill to get the best possible view of the train passing through. Nothing will quite get the adrenaline going like a high speed boat zipping across the horizon! 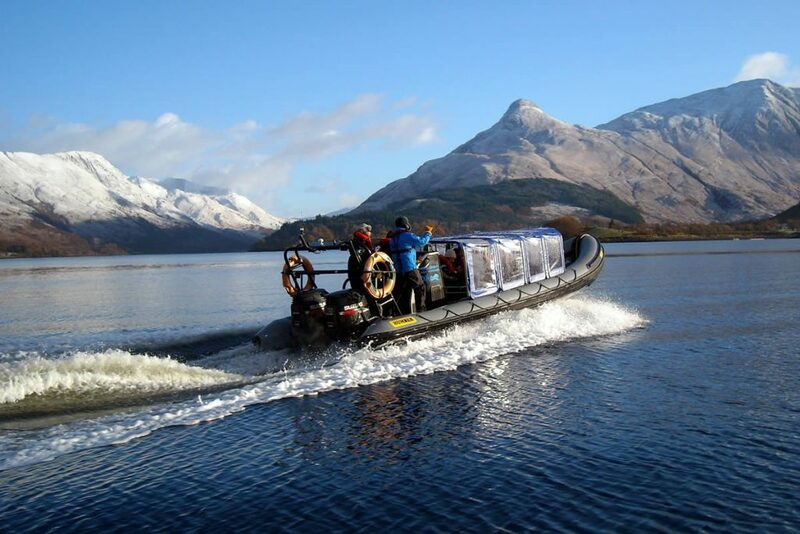 SeaXplorer offer fast-paced RIB boat tours of Glencoe and the surrounding area, and it’s a sure-fired way to get up close and personal with the scenery, as well as the local wildlife. 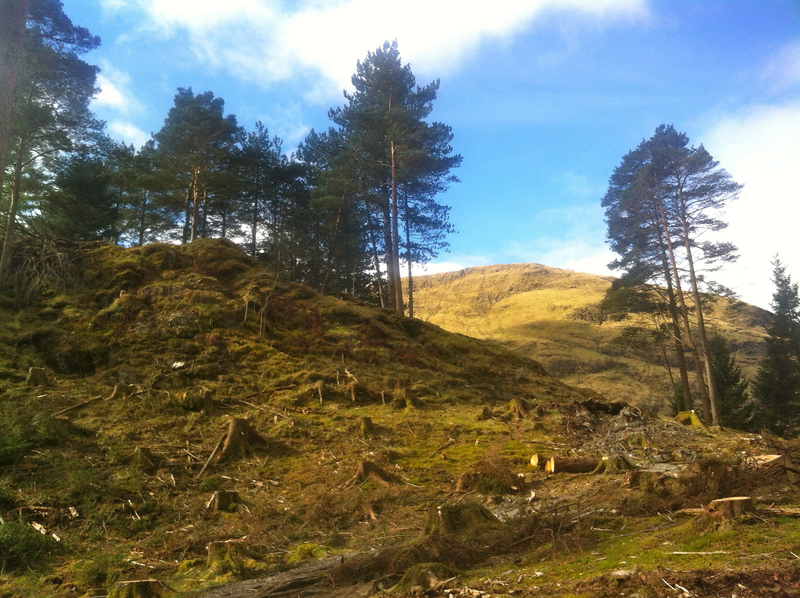 They can also take you out to explore the ancient burial islands at the foot of the Pap of Glencoe mountain, an eerie but peaceful place where many of the Highland clans – including the Macdonalds and Stewarts of Ballachulish – laid their dead to rest. An energetic day out – just make sure to hold on to your hat! Though small, the National Trust for Scotland Visitor Centre is a great place to learn about the glen, its wildlife and the families who have lived there. 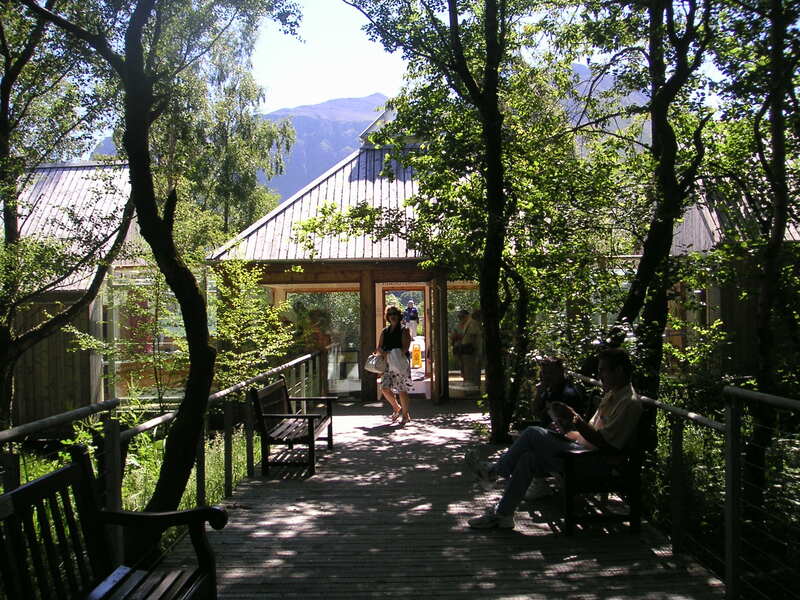 Nestled into the foot of the mountain, the building has won awards for its eco-friendly design, and as well housing a great exhibition, has a shop, cafe, viewing platform and ranger information point. 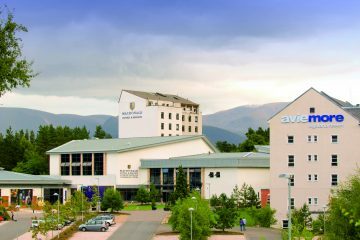 It’s a great place to start your Glencoe experience! In the mood for a good teeing off? 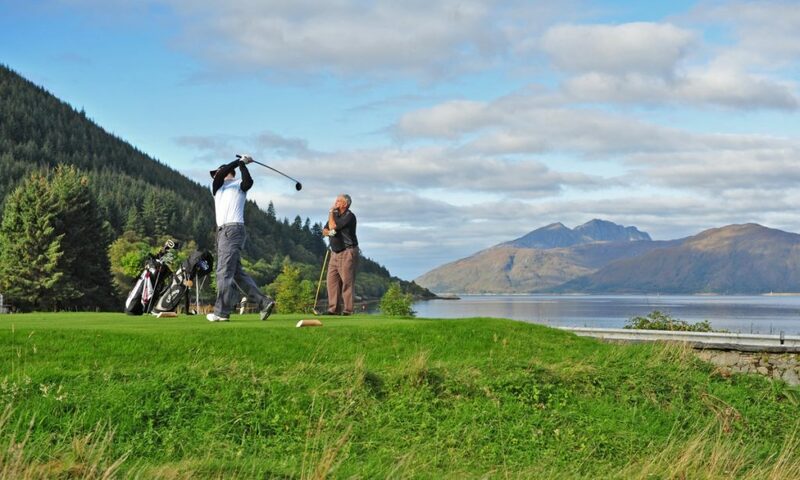 Why not have a spot of golf at the Dragon’s Tooth golf course, just outside the pretty village of Ballachulish? This 18 tee, 9 hole course has stunning views out towards Loch Leven and a nice wee cafe if those espresso levels are running low. It’s also home to the gorgeous Riverbeds Wee Lodges if you’re in need of some accommodation – you can check out my review on their luxury glamping pods here. What better way to celebrate that hole in one than with a glass of prosecco in the hot tub? What better way to take in the mountain scenery than to zip down it on two wheels?! 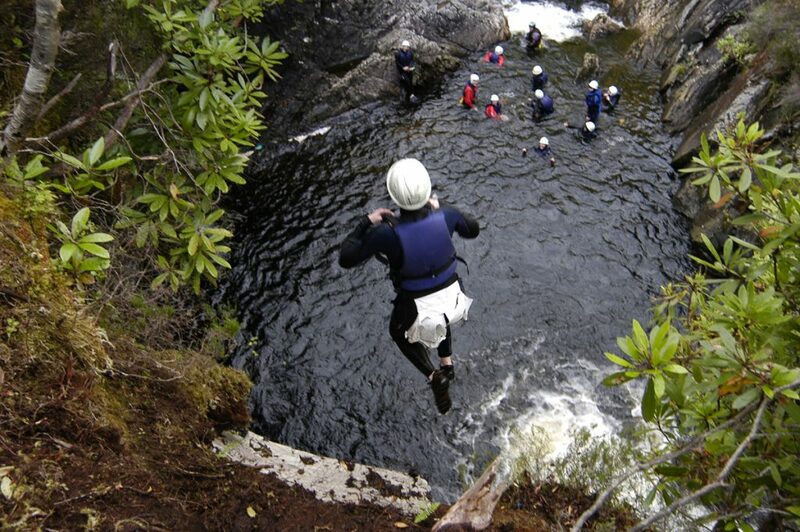 Whether that thought fills you with excitement or with fear, consider heading to Nevis Range. 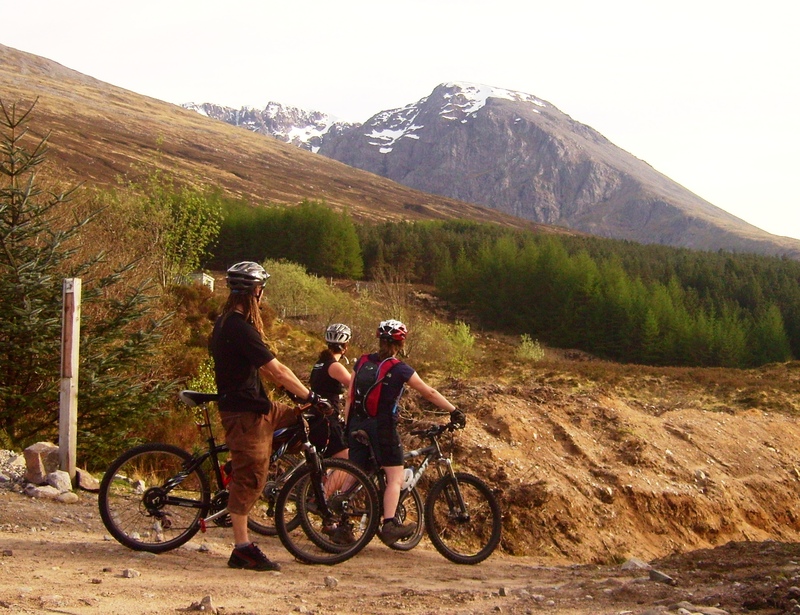 Their mountain bike centre, just north of Fort William, has five trails to explore, offering a mix of downhill and XC for all abilities. Whether you simply want to hire a bike and go, or whether you’re looking for a bit of coaching and guidance, the expert team will have you well looked after, and will be able to recommend the right route based on your confidence and skills.